Summer 2017's Superhero Movies: What Each Blockbuster Did Best | Nerd Much? 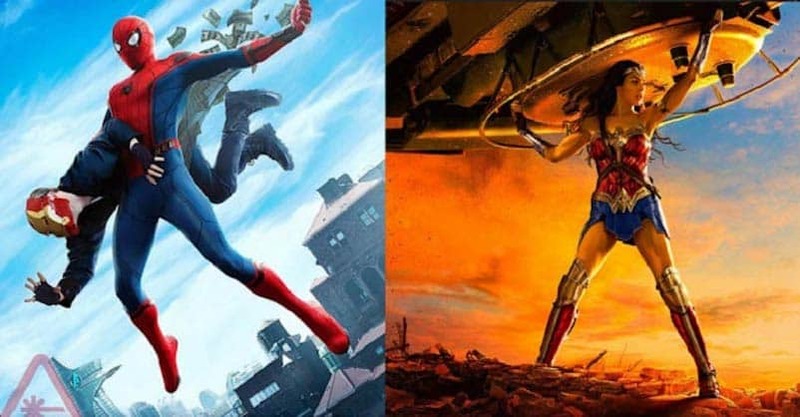 How do this summer's three major super-films stack up? People who say the superhero craze is over must not be counting movies in that estimation (or TV, comics, video games … they’re wrong is what I’m getting at). For something supposedly on the way out, superhero movies sure did clean house this summer. With the three major releases this season came nearly $2.5 billion in ticket sales ($1.11 billion of that from the United States alone), and hordes of fans and critics alike satisfied. In a terrain where decades-old franchises died out (Alien: Covenant, Pirates of the Caribbean, Transformers) and star-studded shared universes failed to lift off (The Mummy, The Dark Tower), superhero movies were just about the only smart bet in Hollywood this summer. 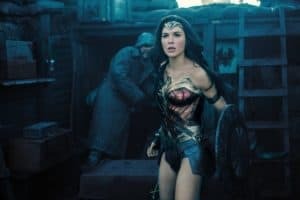 But even with a relatively crowded calendar, each of this summer’s superhero offerings had something unique and praise-worthy to offer. Near the start of the summer, Wonder Woman was predicted to have an opening weekend of $60 million, with around $200 million as its total domestic tally — good by any blockbuster standard, but not too much more than that. As we now know, that guess was perhaps the biggest oversight of the summer. Wonder Woman demolished the box office, earning more than $400 million in the U.S. alone, and more than $800 million worldwide. Not only did it outgross the two established superhero franchises that also came out this summer, it currently sits behind only the two Christopher Nolan Batman sequels and both Avengers films as the highest-grossing superhero film in the U.S. Ever. Audiences couldn’t get enough of the DCEU’s first legitimate success and reminded us that people will continue to support something (and keep it in the top 10 for more than two months) as long as it’s really, really good. As we mentioned, people really dug Wonder Woman and this time, in contrast to previous DCEU moves, that included critics. Patty Jenkins’s female-led superhero success story currently sits at a lofty 92% on Rotten Tomatoes — a stark contrast to the dismal scores of other DCEU films. But Wonder Woman alone can’t hold the spotlight on this one. Sitting right next to it at 92% is this summer’s Spider-Man reboot, Spider-Man: Homecoming. 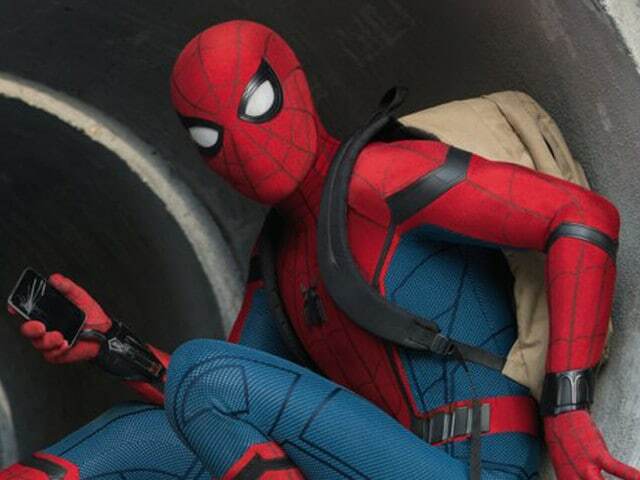 The Jon Watts-directed introduction of Spider-Man to the MCU wowed critics who has largely grown tired of Sony’s previous big-screen Spider-Man efforts. The blend of a zippy new Spidey in an entertaining and endearing new story was enough to win over skeptics and put Homecoming among not only the best-reviewed Spider-Man movies, but also the best reviewed superhero movies in general. Surprisingly, each superhero movie this summer had a unique blend of humor. That said, there’s no way Guardians of the Galaxy Vol. 2 — a movie made of wall-to-wall jokes — wasn’t going to lock this one up. And while there were more than a few instances where the jokes undercut an emotional moment, there were far more where the gags landed. The highlight of which had to be the “700 jumps” scene. 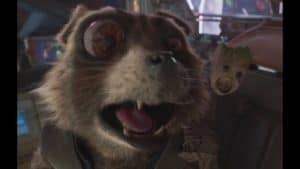 This wacky cartoon moment comes out of nowhere and is just the type of bizarre, cartoony, over-the-top moment the movie needed to keep things going strong into the third act. Also, it ends with puke, so we can all laugh at that, right? Well, isn’t this quite the reversal? This time last year myself and others were still writing about how Marvel really screws the pooch when it comes to their bad guys. Apparently they decided to raise the hybrid puppies because both their films this season had some of their strongest antagonists to date, with Spider-Man‘s Vulture being a clear winner. 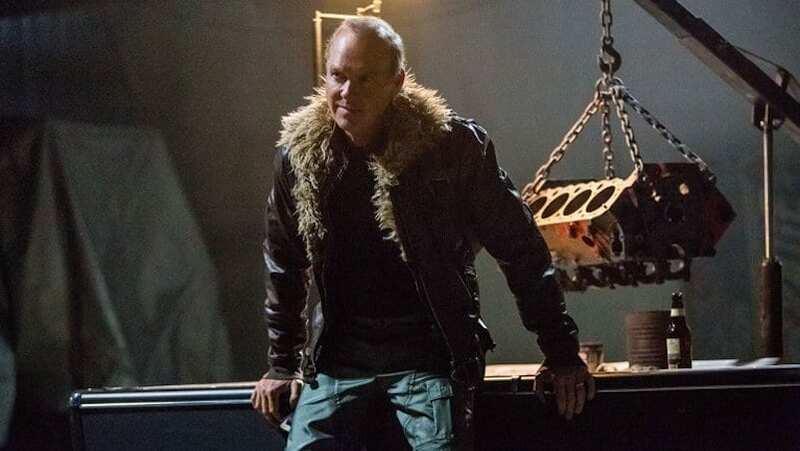 Michael Keaton’s take on one of Spider-Man’s oldest foes eschews the “scientist has an accident and goes crazy” trope that has become laughable with these movies, instead going for a very nuanced and relatable, but no-less-menacing foe. Yes, the Birdman comparisons are ironic but Keaton’s Toomes is an adversary of just the right magnitude in just the right story. DC was in a bad place going into Wonder Woman. Batman v Superman‘s maligned response threw WB’s plans involving the DC Extended Universe into chaos, and Suicide Squad‘s disastrous quality burned the brand even further. An anonymous note from supposedly a jilted former WB employee last fall indicated things were a mess behind the scenes on the Patty Jenkins-helmed solo outing. 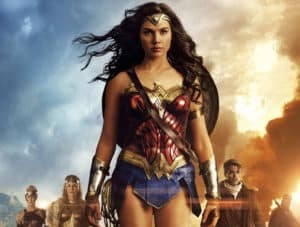 Very few people had any reason to think Wonder Woman was primed to right the sinking ship that was DC’s film universe, with reports up until the eleventh hour about a lack of marketing spelling doom. They were all wrong. Gloriously wrong. Wonder Woman was exactly the film that corrected course and showed us DC was capable of making a great film, full of the heart, honesty, excitement and wit audiences weren’t getting up until this point. And while it remains to be seen if Justice League is able to slough off its own bad press, it seems safe to say that the DC films set up after this fall’s joint effort are being viewed with much less dread than before. The lesson here: take any reports on DC films going forward with a big block of salt. This one was supposed to be an easy win for Disney. I mean, look at this thing. Was it not created in an underground lab to vacuum up all the money from merchandising sales?! Was it not born of the essence of thousands of men, women and children crying out “Daaawwww”?! 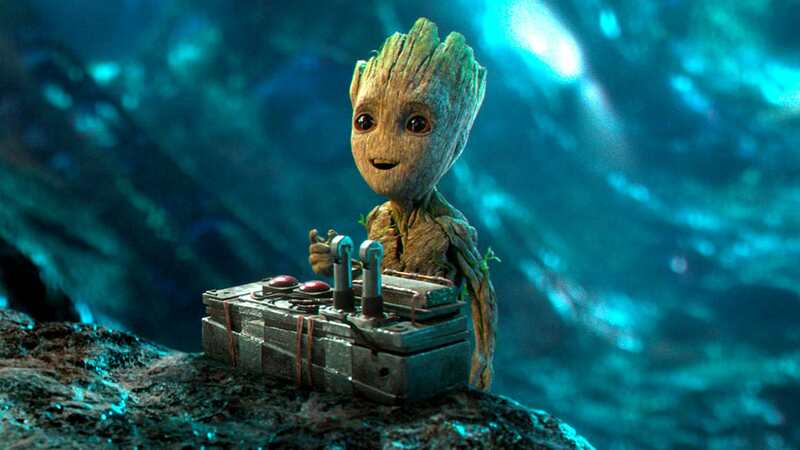 Baby Groot was manufactured to be winner months ahead of time. Then something happened. Wonder Woman paraphernalia popped up everywhere. Social media pictures of little girls (and boys) wearing Wonder Woman outfits to school and conventions started rushing in. Bat symbols were matched or outshone by the Wonder Woman eagle insignia. There was a new queen in town. See, people not only liked the Wonder Woman film, but also connected to the character and what she stands for. DC released the hero that spoke loudest to the most audience members at this point in time. And while there are still plenty of Baby Groot toys, clothing and media going around, as was intended, the rise of Wonder Woman merch is infinitely more inspiring. Each superhero flick this summer left you with the unmistakable feeling of wanting more. But while Guardians and Wonder Woman both closed the door nicely on their own respected chapters, Spider-Man: Homecoming threw in a last-minute twist that left you immediately wanting to see the fallout. Getting the hint that a Sinister Six appearance may be coming in the future during the end credits was all well and good but it was Aunt May discovering Peter’s actual pastime in the final seconds that opens the most exciting possibilities going forward. And it certainly helps that the profane reaction by this new iteration of May was a perfect capper for the film. Again, not too much of a shocker here, given how integral the soundtrack choices are in the Guardians movies. The thing that makes it feel earned though, as opposed to just entitled, is just how much the second installation goes for deeper cuts. Whereas the first film’s soundtrack went for some pretty obvious classic rock needle drops, Vol. 2 does a much better job mixing things up. Be it making a 1972 song by Looking Glass part of the plot or an unconventional use of “Come a Little Bit Closer” by Jay and the Americans in an unconventional scene, Vol. 2 feels like the soundtrack that adds more to the narrative and earns all its accolades. 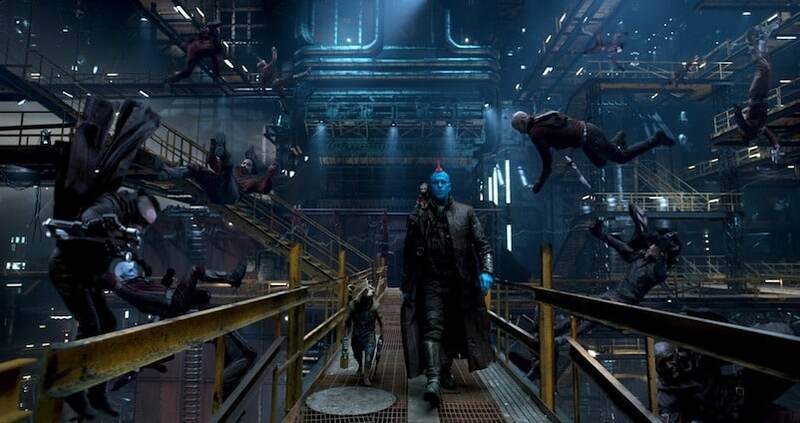 There were many great set pieces and sequences in this summer’s superhero set list — Guardians‘ Finale and Yondu’s breakout, and Spider-Man‘s Washington Monument rescue and homecoming prep montage are all terrific. 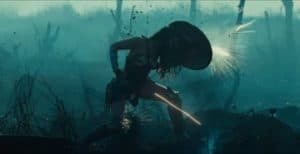 But they’re not the No Man’s Land scene in Wonder Woman. No other scene this summer quite encapsulated what makes superhero cinema special like Wonder Woman‘s midway point. It’s a beautiful mix of the hope, courage, truth and determination this character stands for, and it’s just damn exciting to boot. And while the film’s fiery finale is also exciting in it’s own right, it’s the craft on display with No Man’s Land that cements Wonder Woman as a winner. Biggest box office of the summer, near-unanimous critical praise and goodwill restored — yes, I’d say of all the film’s this summer, Wonder Woman accomplished the most with the highest expectations to meet. The Princess of Themyscira was the underdog going into the season (did anyone really think Marvel would completely implode on either Guardians or Spider-Man) and ended up showing everyone how it is done.